Imagine a pair of hands, stained scarlet with blood. 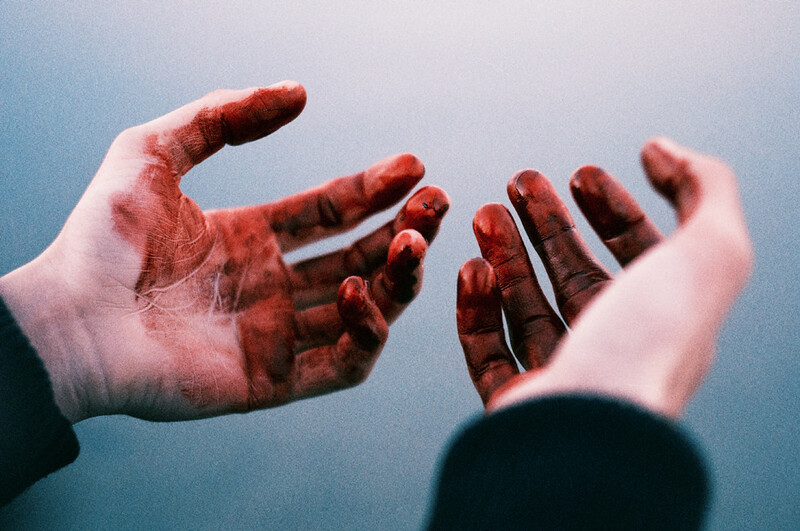 For thousands of years, the phrase “blood on your hands” has been indicative of someone’s guilt for wrongdoing. Chiefly, this expression refers to the blood on a murderer's hands after slaughtering a victim. However, this phrase can refer to the guilt and responsibility left behind by any crime. One of most alarming symbols in Scripture is that of blood stained hands. God uses this symbol himself to refer to a leader in the church who has the responsibility to share the Gospel, but fails to do so. God gave visions to the prophet Ezekiel as the people of Israel were away from their homeland in Babylon, many of them focusing on the future destruction of Jerusalem. God specifically had told Ezekiel to deliver his word to the rebellious Judahites (Eze 2:4). In his first vision, Ezekiel is assigned as a watchman and is reminded in another vision (Eze 3:17, 33:7) In Ezekiel’s time, watchmen were “night guards” or sentries who watched over the city at night. Their duty was to watch for approaching enemies to the city and warn the people of an impending attack. God uses this analogy to tell Ezekiel that he will judge the house of Israel; Ezekiel is to warn the people of God’s coming judgement, like a watchman warns of an impending attack. This is not a light responsibility Ezekiel is given. Ezekiel is given a very stark warning- if he fails to warn of God’s judgement the blood will be on his hands (Eze 3:18,33:8). Yes, the people are responsible for their own actions, but God will hold Ezekiel responsible for failing to do his duty of sharing. This is a very startling and shocking reality that we learn from Ezekiel- God takes evangelism very seriously. In the specific context, God made Ezekiel the watchman for Israel; but leaders in the church share the same burden of a watchman to the world. God is a forgiving God, but he is also a just God. He warns Ezekiel that he will have the blood at the hands of the watchman. Now, the people of Judah have an objection to God’s judgement- “How is God fair to let us die for our sins” (paraphrase, Eze 33:10,17,20). God heard their objections and gave Ezekiel a very detailed and explicit answer. It is not God’s desire for anyone to die so he is giving them an opportunity (through Ezekiel) to turn back. The Judahites mistakenly believed their own righteous deeds would preserve their life. Regardless of how many good things they did, one bad thing would ruin all of it. In their own definition of goodness, they would never be able to live righteously; only by turning to God’s ways and righteousness could they live. God’s judgement came to Judah, primarily through Jerusalem’s destruction. It came then in a specific way and it will come in the future to all of mankind in a specific way. Like Ezekiel, those in special authority in the church are watchmen. God has placed and called specific individuals to stand guard on the wall. The watchmen who fail to share will have bloody hands. This means, somehow and someway, God will hold them accountable for their actions or lack thereof. This is not a threat, nor a scare tactic, but a honest warning. Paul recognized this and so told the Ephesian church elders that his hands were clean of blood, because he had shared (Acts 20:26) This truth can be applicable to all believers. We should all take the same attitude with evangelism. While God may not have given us the stark consequence of blood stained hands, sharing the Gospel should be a priority. Jesus himself talked about his second coming at which he will bring an angelic army to judge the world (Matt 24:30-51). Ezekiel was a watchman to Judah, ministers are watchmen to the world. All believers are townspeople alongside the unbelievers. While it may not be our duty to watch for enemies on the wall, if we hear watchmen blow the trumpet, we need to alert our fellow townspeople. God takes the responsibility of evangelism very seriously. He wants to save all people, because he loves them. This blogpost was written by Adam S., with some grammatical edits by Henry Martin and correction of a major misapplication.